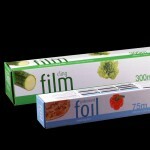 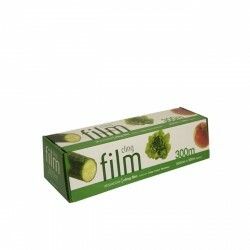 Our stock catering film and foil rolls are available in 12 inch and 18 inch rolls. 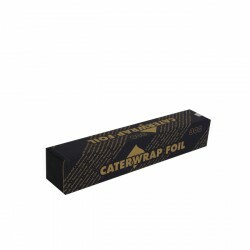 Suitable for catering food outlets or general home use for parties etc. 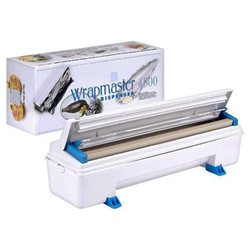 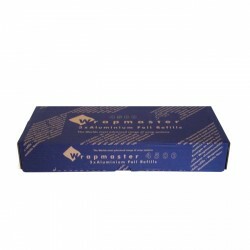 Wrapmaster film and foil is sold per the outer carton, and can only be used with a Wrapmaster dispenser. 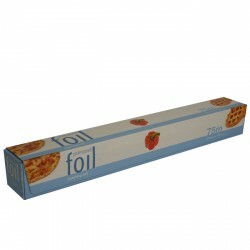 Catering Foil 12" Sold per roll 12 inch x 75m Catering foil within a dispense..
12in Cling Film Sold per roll 12" x 300 metres Suitable for food use .. 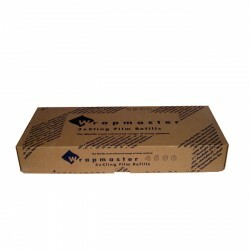 Catering Foil 18" Sold per roll 18 inch x 75m Catering foil within..
18in Cling Film Sold per roll 18" x 300 metres Ideal for food outlets and par..
Wrapmaster Cling Film Price per case 3 rolls 12 and 18 inch available 300 me..
Wrapmaster Dispenser Ideal for food outlets for dispensing 12 inch and 18 inch cling film ..
Wrapmaster Foil Price per case 3 rolls 12 and 18 inch available 90 met..